Around the World Jam Tunes now available! To access the Dropbox, click HERE. 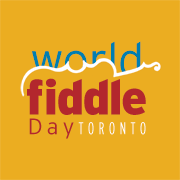 If, for any reason at all, this does not work for you, just drop us a quick e-mail at worldfiddledaytoronto@gmail.com and we will sign you up manually. COST: THE GOOD NEWS is that we are offerring a discount for the day to all those players who have purchased a ticket for the concert on Friday night, May 18, featuring Shane, Elizabeth and Ethiopian masenqo player Abebe Fikade: AFRICA-CUBA-CANADA (here for more info on the concert). FOR Players paticipating in the WORKSHOPS and JAM on MAY 19. $25 (for those with Friday night tickets): $35 without. As always, we invite the general public to come and listen to the Jam absolutely free. This discount for Friday night ticket holders is to encourage as many people as possible to see this wonderful concert. We moved it to Friday night, because many playing participants found the day too long last year with Workshops, Jam and Evening Concert, and because we wanted you to see the Artists before the Workshops instead of after. In the process, you will not only be supporting some wonderful musicians as well as World Fiddle Day Toronto, but also our partners Batuki Music, Polyphonic Ground and the new Hugh’s Room Live non-profit arts association. The charge for the day allows us to pay our awesome Workshop leaders, Shane Cooke and Elizabeth Rodriguez, for their morning workshops, and our House Band musicians in the afternoon (TBA). We will have that ticket window open soon on our site. We sincerely hope you will choose to spend part of your May weekend with us at World FIddle Day Toronto 2018, and we look forward to another wonderful gathering. Hi! I installed Dropbox, but I am not able to access your file. I’m not sure how to proceed with it. Maybe you can tell me? HI Sue and all who are having trouble. . Dropbox doesn’t alwasy respond to links from websites. Just send us a message at worldfiddledaytoronto.ca and I will add you manually. It seems to work on some computers and not others. .